Newcastle’s dilapidated Hunter St Mall has been a major beneficiary of the creative rehabilitations of Renew Newcastle – an initiative that begat the wider ambitions of Renew Australia. Marcus Westbury, perennial media and arts commentator, festival founder, and renewer of crumbling, unloved shopfronts and streets, has hit the ground running with a pozible campaign to fund the creation of a proposed book, ‘Creating Cities’. Such is the strength of the Renew Australia brand, and the commitment of its supporters to the generating of public value through Renew’s rehabilitation of urban spaces, that ‘Creating Cities’ looks set to hit its funding target within a day or two of its pozible launch. Within 12 hours of the campaign opening, almost $7000 of the $10000 target has been reached. With 59 days remaining, it seems a certainty that the goal will be easily surpassed. Westbury is determined to share the spoils should the results exceed his expectations – the higher the end amount, the better the end result, and the greater the opportunity for others to engage with and be recompensed for contributing to the work of one of Australia’s most innovative and successful non-profit organisations. ‘Creating Cities’ is sure to be a book that will energise the discussion about alternative ways to build grassroots, maker-based societies, in ways that have the potential to enhance public value and reward actors across a number of economic and social spheres. 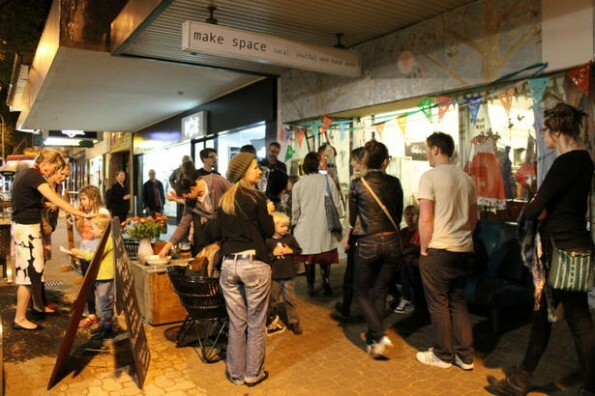 The pozible campaign for ‘Creating Cities’ can be found at http://www.pozible.com/creatingcities.